The Andrew W. Mellon Auditorium in Washington, D.C. 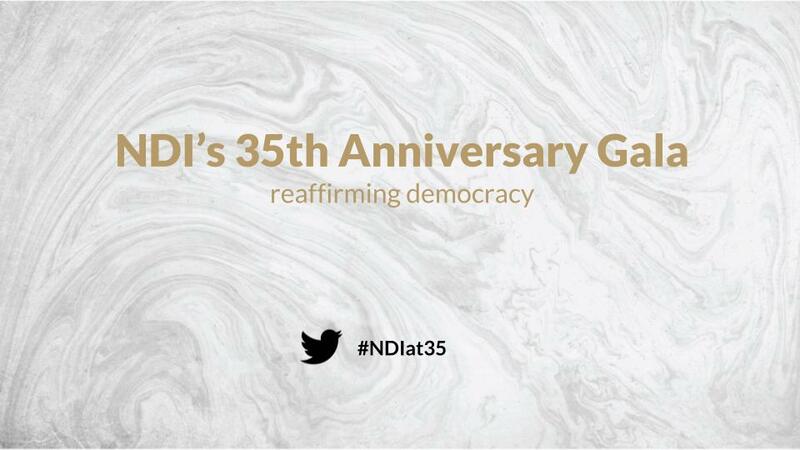 Please join us for the 35th Anniversary Gala (#NDIat35) to celebrate the National Democratic Institute's three decades working to break down barriers to democracy and look toward the future. Currently working in more than 50 countries, NDI is the preeminent organization that responds to the aspirations of people to live in democratic societies that recognize and promote fundamental human rights. When opportunity knocks for democracy, NDI is there to help. We hope you will join us in highlighting the importance of democracy and human dignity around the world.